Hello friends!! 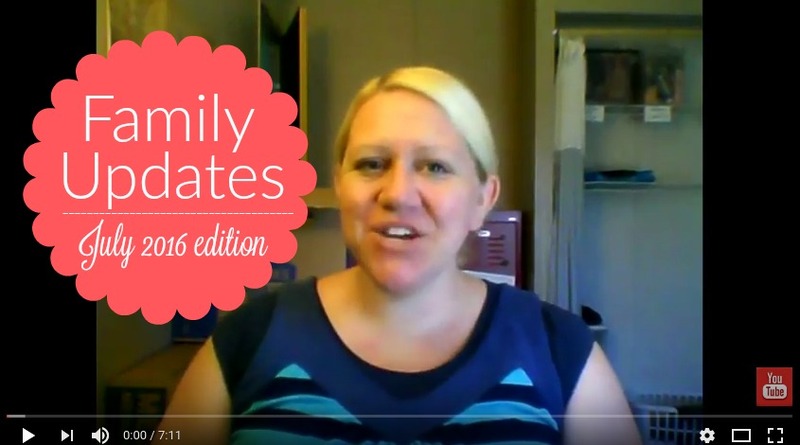 Today I am hopping on here to share a quick family updates video with you all. I filmed this video about two weeks ago, before Miss Tallia made her debut. This upcoming week is going to be a busy one. Moving day is next Sunday, so I am spending this week tying up loose ends and making sure everything is packed and ready to go. I am so excited for this new adventure we are embarking on and for my family finally being able to be in one place. I am hoping to get a few videos scheduled for you guys before the move, since I am guessing we will be without internet for a week or so.......depending on how long it takes to get it hooked up. I will be posting updates on instagram though, so follow me on there, so you can see all our happenings as we start a new adventure in a new place. Congrats with little miss Tallia. Sounds like you and your husband have a great plan on buying a house. We did kind of the same thing, living in an appartment for a year, and then we bought a house. I am looking forward to seeing the process of your move! Also what you do in home school. Praying for your family with your move that it all goes smooth sailing!